Working off the hard drive, or local computing, is how the computer industry functioned for decades. This was until “the cloud” revolutionised how we access, process, manage and store data, programs, and other computing resources. Today, businesses of all sizes, industries and geographies are increasing the percentage of their IT budget towards cloud computing, and with good reason. Generally speaking, cloud computing is the over-the-internet delivery of on-demand computing services (including software, databases, servers, analytics, networking and storage) on a pay-for-use basis. If you remain in the old world of local computing, you’ll find some incredible business benefits by adopting any of the three cloud computing models; private cloud, public cloud, or hybrid cloud. Private cloud computing is a single-client virtualised environment where computing resources are devoted to just one client or company. The cloud architecture is within the secure walls of a client’s office, giving them complete control over it. Unlike in the intranet era, it’s now relatively simple and space-efficient for both enterprise and small businesses to set up and manage a private cloud. Adopting a private cloud can allow you to limit remote access to trusted users through secure connections. Besides access security, other aspects such as storage, resource management, scalability and configuration are also resolutely within your hands. When it comes to computing services, there’s no one-size-fits-all solution. IT needs vary from one company to another depending on size, business objectives, industry and more. One important feature of the private cloud model is the level of customisation it offers. This model empowers businesses to select IT infrastructure with specific networking, processing and storage characteristics that meet their unique needs. Private clouds are often hosted either onsite or in a 3rd party data centre that is also a privately hosted setting. This offers greater control over IT infrastructure, enabling you to govern every aspect. Should any changes occur, you can exercise prompt intervention and use advanced analytics to prevent or predict downtime and bottlenecks. All businesses are required to meet with state and national compliance requirements. Private clouds are easily moulded in accordance with information security compliance requirements, such as access controls and hosting location. On the other hand, a public cloud is a virtualised environment where IT resources are shared among many clients. Public clouds are a viable option for those who are less likely to need the level of infrastructure and security that’s provided by private clouds. For many companies, the single most important aspect associated with IT infrastructure is the total cost of ownership (TCO). Compared to other cloud computing models, the public cloud is the most cost-effective option for SMBs. Public clouds have low initial costs, with subscriptions attracting minor set up fees. Overall, public clouds offer higher levels of resources and enable clients to benefit from the largest economies of scale. The sheer number of networks and servers involved in creating a public cloud means that you’ll have access to almost infinite space and room to scale. Public cloud providers have cloud services provision as their sole business goal. Therefore, they replace their equipment regularly in order to remain on the competitive edge. This means that you’ll always find new modern technology in the public cloud, often designed from the ground up to accomplish a specific purpose. A hybrid cloud is essentially an integrated cloud service that merges private cloud and private cloud infrastructures. It can be a combination of one private cloud infrastructure with one or more public cloud infrastructures. Hybrid clouds can replicate critical data to a cloud solution in a different location to the primary systems, thus providing data insurance. This allows for business continuity in the event of downtime or disaster. There’s an argument that network security in public cloud environments is compromised. This is anticipated as data isn’t kept entirely in a private location but rather can be retrieved from the internet. The good thing about a hybrid cloud system is that it provides a higher level of data security through a secure physical infrastructure in the data centre. Another huge advantage with hybrid cloud computing is that it allows resources to be installed and commissioned at improved speeds. This ensures that your company is not limited by its IT footprint. After analysing the pros of the three cloud computing models, an important question arises - what is the best cloud solution for your business? 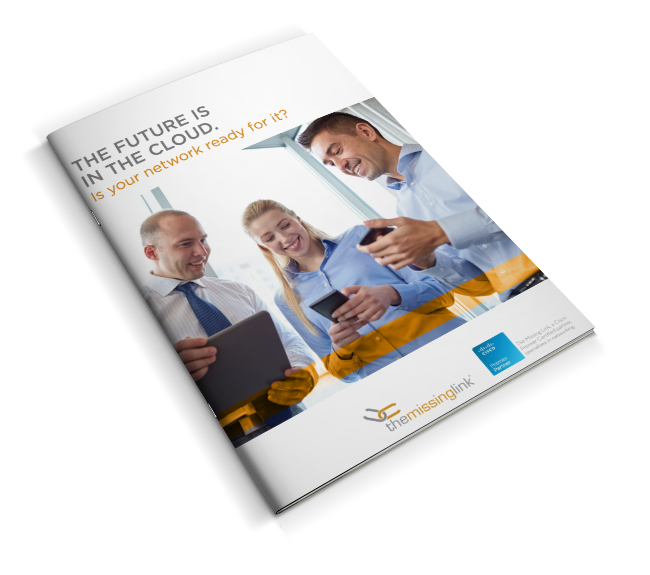 Choosing the ideal cloud platform for your business needs is a decision you have to get right the first time. The three main factors to consider when choosing an ideal model include the sensitivity of the data, the storage space needed, and the budget for this solution. To learn how The Missing Link can assist your business in implementing the perfect cloud solution for your needs, get in touch with us today.